Kyle Sims enjoys living among a vast array of wildlife and is a keem observer of the animals and their habitat. These magnificent elk seem to be taking a brief respite to graze among the thick grasses carpeting the forest. 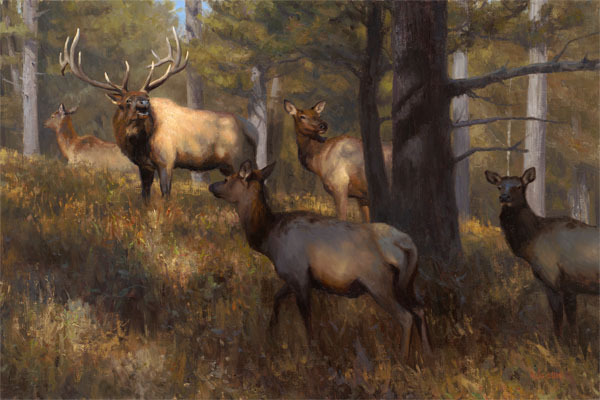 The very talented Sims captures the herd as they quietly go about being "In the Middle of Things."